← Returnable Transport Items – Where is the Next Big Win? During my drive to the office this morning I heard an interesting story on NPR’s Morning Edition titled Little Regulation Poses Problems Tracking Tissue. You can listen to or read the entire story here. 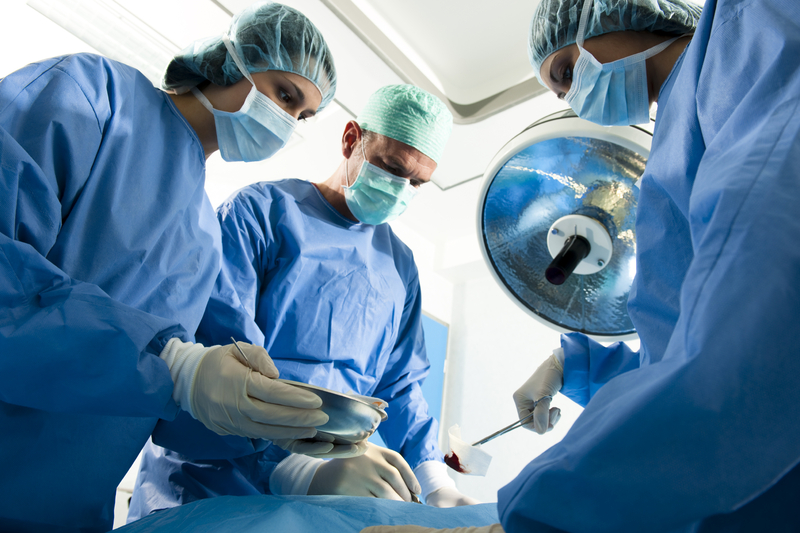 According to the story, each year in the United States, almost 1.5 million medical products are used for surgeries made with tissue taken from cadavers. Despite this vast number, fortunately there have been few issues or problems so far associated with using human tissue but, when there is an issue, it can be tricky to catch and the consequences can be life threatening. The story describes a case where tissue contaminated with Hepatitis C was accidentally distributed for use by patients. Hospitals had to be alerted and the race was on to find where the tissue had been sent. The story states: In this case, 44 ligaments, tendons and other donated tissue were sent to hospitals and clinics around the country. Unlike organs, which are quickly transplanted, tissue can be saved and stored for use at a much later date. A month later [Italics are mine], the CDC found 15 people already had been implanted, but didn’t contract the disease. That’s because their tissue was scrubbed with strong chemicals. But there was one infection: A child in Boston received a heart patch, and because heart tissue can be cleaned only lightly, that child contracted Hepatitis C. The child’s current health condition hasn’t been made public. According to the story, the FDA says it continues to evaluate the need for new regulations and has started requiring tissue banks to do limited tracking but, once the tissue is sold to hospitals, clinics and doctors, it is voluntary for those surgeons to report back what tissue gets transplanted into which patient. And, as the business grows globally and tissue comes to the U.S. from countries around the world, keeping track of tissue is even harder. While I get where Dr. Kuehnert is going with his cereal analogy, I think it comes up a bit short. Unlike cereal, tissue is temperature sensitive. You not only need to be able to track where it has come from and where it is going but also monitor and track the condition that it’s been stored in along the way. If tissue isn’t stored at the right temperature, it can also cause problems that can lead to health implications. Bar codes can’t monitor for that. Fortunately, RFID temperature sensors can, while also storing the information about the tissue and help improve track and trace capabilities. You can read about this here. This entry was posted in Healthcare, Pharmaceuticals, RFID Tags and tagged biologics, healthcare, pharmaceuticals, RFID, temperature monitoring, tissue tracking. Bookmark the permalink.